the snares of death confronted me (NIV). 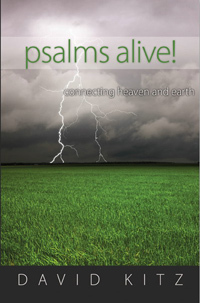 Psalm 18 is one of the longer psalms in the Book of Psalms. Step by step, day by day we will glean wisdom from the psalmist, David, as we make our way through this psalm. In many respects Psalm 18 is a psalm of culmination. The introductory note tells us that David composed and sang this psalm when the LORD delivered him from the hand of all his enemies and from the hand of Saul. For many long years David had been fleeing for his life from his master King Saul. At long last, after repeatedly calling on God in great distress, David has triumphed. And now through the words of this psalm, he gives all the credit and all the glory to God. Notice the list of attributes that David ascribes to the LORD: my strength, my rock, my fortress, my deliverer, my God, my rock, my shield, my salvation and my stronghold. To David the LORD had proven Himself repeatedly during years of hard times to be the embodiment of each of those attributes. If you call on Him, the LORD can be all of those things for you as well. Did you notice that my rock is the only attribute that is repeated in this list? Why repeat the phrase my rock? In the prophetic realm, during all those years of severe testing, Christ was the rock on which David took his stand. David did not build his life on the shifting sands of public opinion or popularity. He built his life on Christ. A thousand years in advance, David was putting into practice the words of Jesus, “Therefore everyone who hears these words of mine and puts them into practice is like a wise man who built his house on the rock. The rain came down, the streams rose, and the winds blew and beat against that house; yet it did not fall, because it had its foundation on the rock” (Matthew 7:24-25). Now that’s wisdom—applied wisdom for the ages! Response: Heavenly Father, help me daily to build my life on the rock, Christ Jesus. Lord Jesus, you are my fortress, my salvation and my stronghold. I put my full trust in you. Amen. Your Turn: How is God like a rock in your life? Has He sustained you during difficult times? Is He helping you through tough times right now, or has He already turned the tide in your favor? Good devotional and nice picture!